Complete your classic country look with Amelia our ladies fur lined wingcap brogue boot. Amelia is available in burgundy grain calf leather with plum suede leg to give your wardrobe a pop of colour over the winter months. Features include bold country style punching with all round leather storm welt for additional water resistant properties. Team these together with slim fit jeans and a quilted coat to create a effortlessly stylish look. Fully handcrafted in England. Showing 2 of our total 9 reviews, with an average rating of 5 stars. Read all 9 reviews for Cheaney Amelia R Fur Lined Wingcap Brogue Boot in Burgundy Grain Leather/Plum Suede. I've became a massive fan of Joseph Cheaney since last year. This boots have became my everyday winter boots. Fits like a glove. The burgundy shade is a versatile color. Definitely worth the investment for a great quality boots. 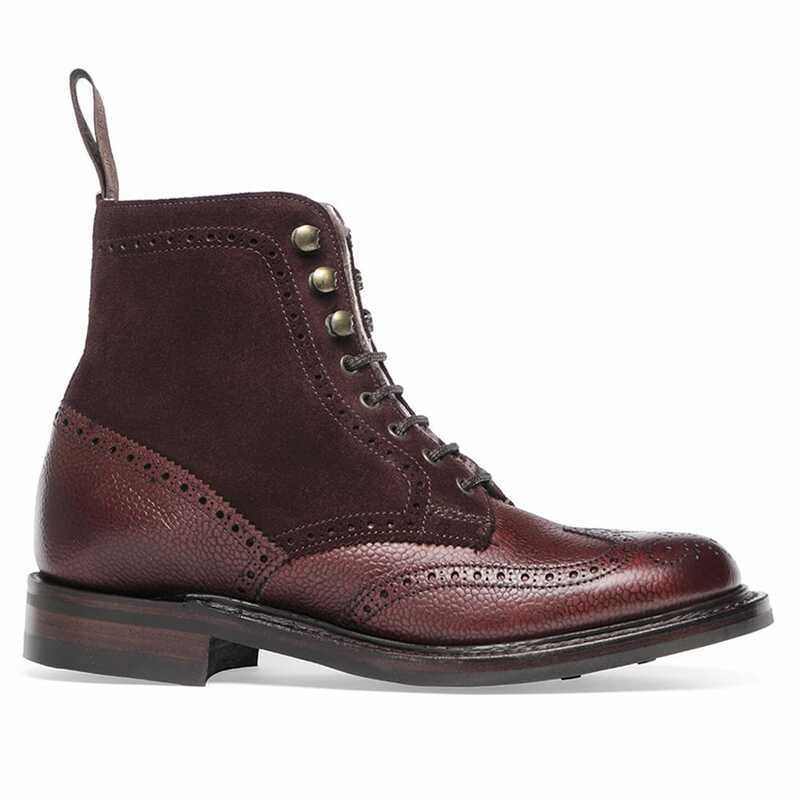 Beautiful boots in a stunning combination of burgundy leather and contrasting suede. Fit perfectly and true to size, very comfortable and sturdy with a good grip on the sole. Cannot fault and highly recommend , worth the price.